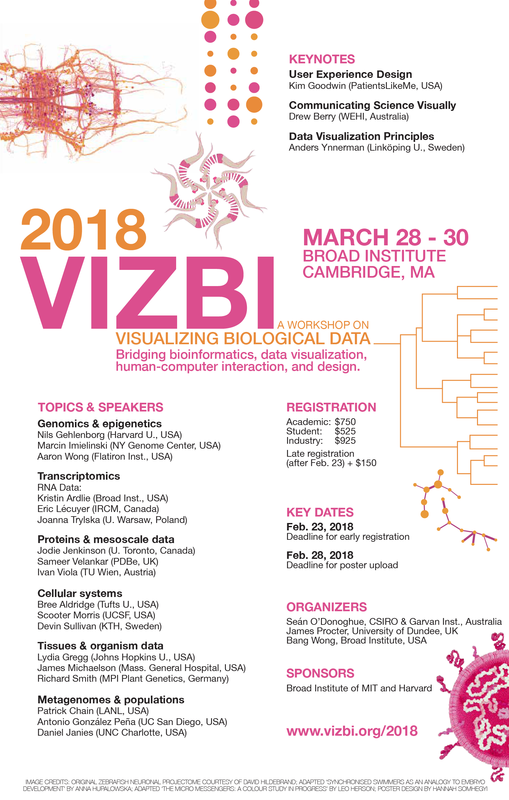 The VIZBI 2018 program is now online: this year’s meeting at the Broad Institute features keynotes on user experience design, visual communication of biology, and data visualization principles from Kim Goodwin, Drew Berry, and Anders Ynnerman. In addition, talks from 18 leading researchers will review how data visualization is being used to transform key areas of research in the life sciences. Sign up soon to take advantage of the early registration discount, which closes February 23. This entry was posted on Monday, February 5th, 2018 at 02:01.